Prime Energy Group is now an Icynene Licensed Dealer and proud to offer several services for both existing and new homes. At Prime Energy Group, we take a holistic, building-as-a-system, approach to every home we work on. Therefore, we can offer our solutions “a la carte” for the various home components, while still ensuring the appropriate applications. Using this holistic approach, we offer energy modeling for homes that can be tied into a HERS score and EnergyStar certification. Taking this one step further, we can design the HVAC system to match the envelope and even guarantee the homeowner’s actual energy bills. 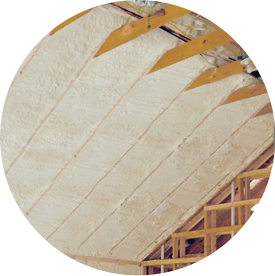 To achieve the absolute best envelope, Prime Energy Group provides Open Cell and Closed Cell spray foam insulation. SPF (spray polyurethane foam) acts as the insulation and the air barrier, ensuring a high-performing structure and enabling the owner to control the indoor environment. We also offer closed crawl space solutions on new construction. Addressing an existing structure requires a strong understanding of how the components of a home work as a system. Each component affects how that system performs. 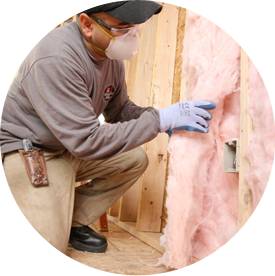 We employ the Building Performance Institute (BPI) method to our Home Energy Audits. This process paints a picture of what is occurring in the home and highlights what areas can and need to be addressed. After conducting this detailed audit, we can recommend crawl space solutions, attic and insulation solutions, and other weatherization solutions.